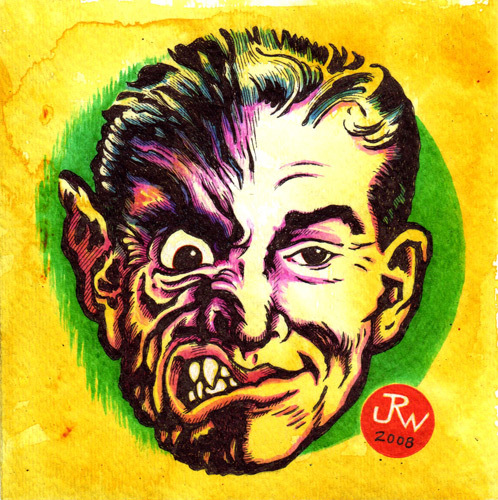 Based on an old ad image for a mail-order monster mask (as seen in FAMOUS MONSTERS magazine circa 1960s). Acrylic and inks on 140 lb. archival watercolor paper, 5" x 5". I accept PayPal.